C.O.B.R.A.™ was created to be a Police Academy for civilians. It draws its structure from the most likely crimes and defensive methods statically proven to be most effective. The approach is unique and simple and anyone can do it. All of this is taught clearly and polished in a scenario format. 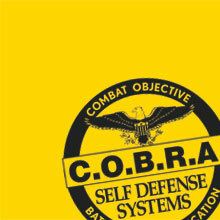 C.O.B.R.A.™ is quickly becoming the most sought after self-defense course in the world. Last fall there had been an increase in reported rapes and attacks occurring in Fort Collins. Murders, muggings, shootings, home invasions, attacks on schools, child abductions … the list goes on and on effecting both children and adults.